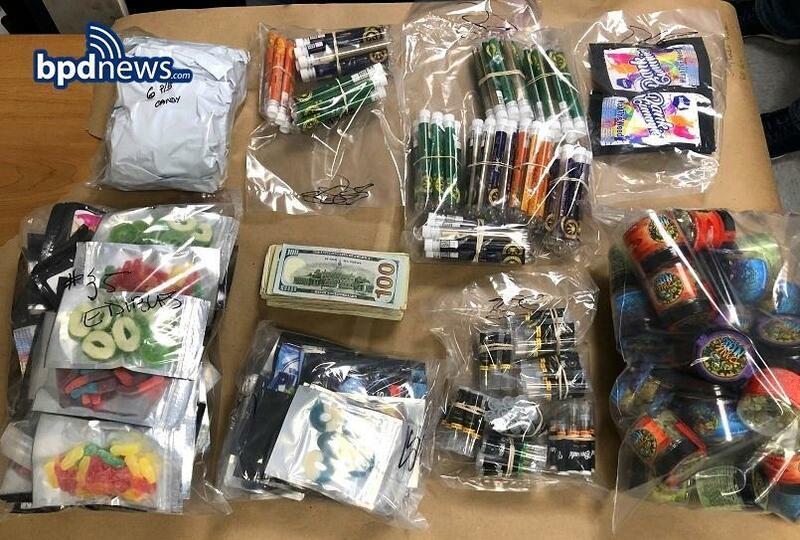 Police searched King Smoke Shop and confiscated several marijuana cigarettes, marijuana candies, and over $1000 in cash. The owner of a South Boston smoke shop and a store clerk were arrested Monday for illegally selling marijuana cigarettes and edibles, officials said. An undercover officer purchased several marijuana cigarettes at the King Smoke Shop at 600 East Broadway on Monday as part of an investigation after police received several complaints, officials said in a statement. Brockton resident Saqib Imran, a 38-year-old clerk at the store, was charged with possession of marijuana with intent to distribute, police said. The owner of the store, 61-year-old Tanveer Shah of Bellingham, was arrested on the same charge and additional charged with possession of THC with intent to distribute. Police later searched the store and confiscated several more marijuana cigarettes, marijuana candies and over $1,000. Both men will be arraigned on Tuesday in South Boston District Court.